With its phones Microsoft did and still does a poor job. Today Ballmer praises Apple’s cellular subsidy model and admitted he wished he had come up with it first. “I wish I had thought of the model of subsidizing phones through the operators. People like to point to this quote where I said the iPhones will never sell. Well the price of $600 or $700 was too high and it was business model innovation by Apple to get it essentially built into the monthly cell phone bill. 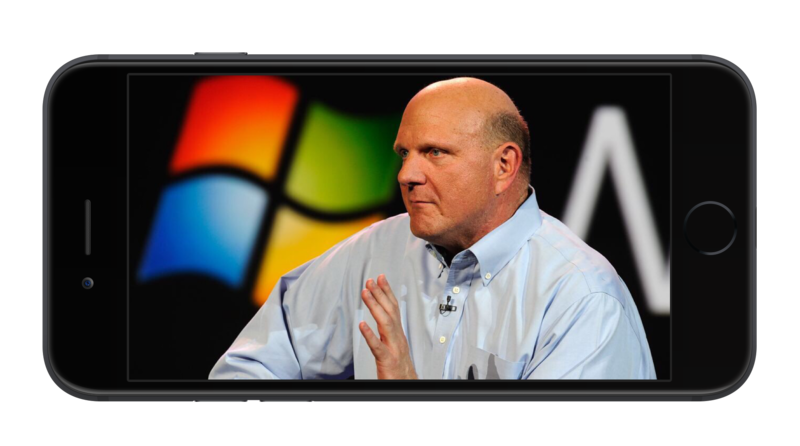 Ballmer also admitted it was a mistake for Microsoft not to make handsets and tablets sooner. You shouldn’t worry about your past decision, because you can’t change it now. Even Satya cannot fix this bug in the aftermath. Good for your competitors, bad for customers.